Join Azoya's Partner Network and Together, We Can Help You Grow Your Revenues! Azoya is building an ecosystem of industry partners to help businesses expand into the China market. The 'Azoya Partner' program pools contacts and resources amongst our industry partners so that we can provide value-added services for international retailers and brands. Join us today to help businesses further succeed in the competitive China market. Help Our Clients Grow Their WeChat Businesses! 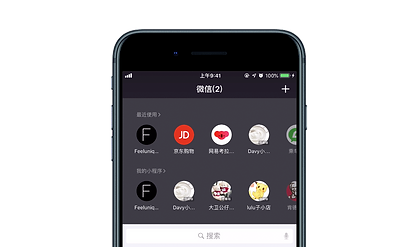 Azoya's new WeChat solution is designed to help small brands and retailers set up their own cross-border e-commerce stores through WeChat mini-programs.We set up the back-end infrastructure, and our retail clients manage and run their own WeChat stores. Sometimes, however, they need help with marketing and driving traffic to their WeChat stores. If you are a WeChat marketing service provider or can provide other related services such as social media management or KOL marketing, please contact us! We are happy to refer business to those who can add value for our clients. To learn more about our new solution, check out our website here or contact us now. We are a borderless e-commerce group headquartered in Shenzhen, China. Since our founding in 2013, we have helped over 35 international retailers to expand to the China market via cross-border e-commerce, and have advised over 100 clients on their China e-commerce strategies. Over the years, we have built an ecosystem of cross-border retail channels that can help brands and retailers grow in the China market. Now, we are opening up these channels to our trusted industry partners, creating a win-win for both sides. We work with dozens of different industry players to build strong and competitive business solutions for our retail clients. We are flexible and can customize solutions for different needs, including but not limited to: digital marketing, cross-border trade, B2B distribution, joint marketing campaigns, and promotions. To learn more about us, please check out our blog.